If there was ever a single moment that made me an artist, it was being taken to Philadelphia Museum of Art by my mother when I was around three years old. 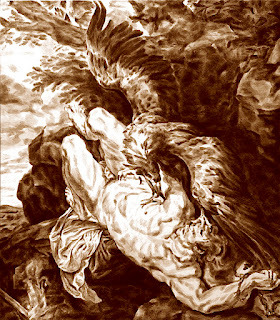 I can vividly still remember seeing Pieter Paul Rubens and Frans Snyders' 1611-12 'Prometheus Bound'... it was electrifying. I can only describe the feeling as a portion of my brain, that was not until then functioning, suddenly "switched on" upon viewing this painting. I was never the same again. 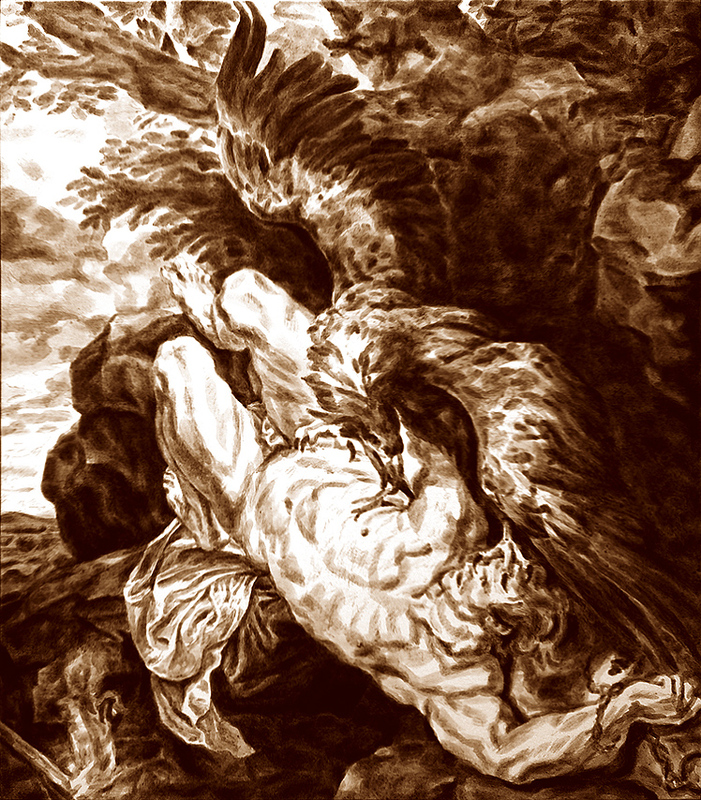 It's a huge painting, roughly 8' by 6'10" (although for some reason Rubens described it as 9 by 8 feet in his correspondence). 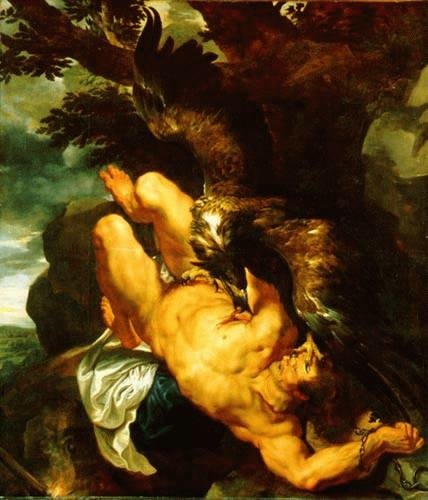 Rubens painted the figure of the titan Prometheus having his liver pecked out by Snyders' eagle... both incredible bravurra pieces of painting. Both were masters of large workshops in the same road and often "sent" paintings along to have the appropriate section added by the painter who specialised in the area required. Anyway, in the tradition of making studies of the masters I made a "half-scale" version in an umber tone.